Considered to be one of the major wine regions of the world, Napa Valley is an American Viticultural Area (AVA), located in Napa County, California. If you are a wine lover, Napa Valley would surely be one of the finest travel destinations for you. 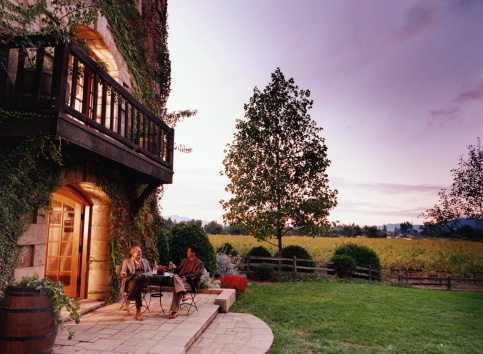 If you are tired and exhausted, Napa Valley can provide you some much needed respite. You may stay in a wonderful bed and breakfast, enjoy some of the best wines in the world and can have an extra-ordinary shopping experience in the region. Napa Valley is very easy to approach as it is just one and a half hour drive away from San Francisco. The roads to Napa Valley are very comfortable and uncomplicated, allowing you to experience a nice long drive. However, if you wish to enjoy wine on the go, it is highly recommended that you hire a driver to be on the safe side as alcohol and driving do not mix. It will cost you a touch more but the driver will make the journey very relaxing for you. If your budget allows you to do so, you can easily rent a limousine from Wine Country Getaways. You can visit the local wineries in a limousine, without having to worry about directions. This is a luxury and if your budget is tight, you can still have a great time without a limousine. As mentioned earlier, the roads to Napa Valley are not complicated; however, you can still get flustered and it is imperative that you carry your cell phone with you. You should also have the phone numbers to the reservation desk of various wineries before starting your journey. If you get confused on the way, you may call the desk and ask for instructions. You can get around the Napa Valley by driving through Highway 29, which travels the length of 30 miles. Wineries are situated along the sides of the road and are extremely easy to locate. It is very easy to remain on the right path as all the crossroads connect back to Highway 29. Silverado Trail is another very convenient way to get around Napa Valley. Just like Highway 29, it will also travel the length of 30 miles and you can also find wineries along the sides of Silverado Trail.